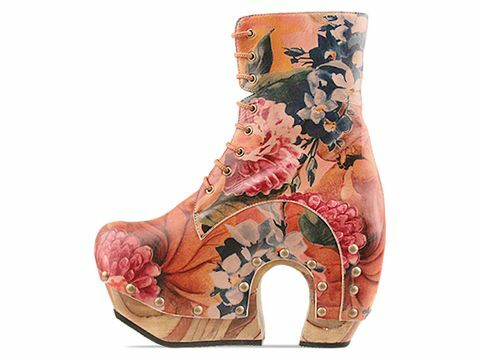 Check out these unique floral print John Fluevog Arch Boots. With boots making their usual comeback for the fall and winter season, these add a fun, tropical touch to any outfit, and would look great with a pair of blue skinny jeans. 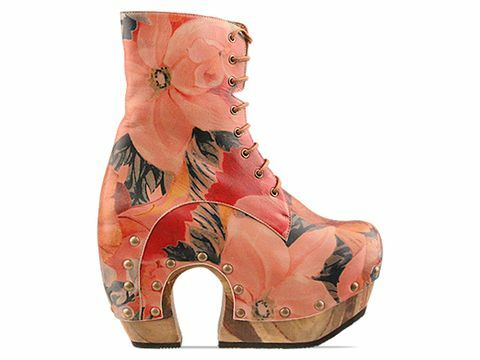 They actually look rather comfortable, despite the 4 1/2 inch heel (at least there’s a 2 1/2 inch platform). You can find a pair for yourself here. Are you old enough to remember the Peter Max drawings where the shoes were so huge and a real feature of the picture? Imagine how many different motifs could be used…maybe even advertizing space…sponsors would line up…Starbucks, Red Bull….something intriguing about them.